Marbled cupcakes are the perfect treat for little ones who love both flavours! 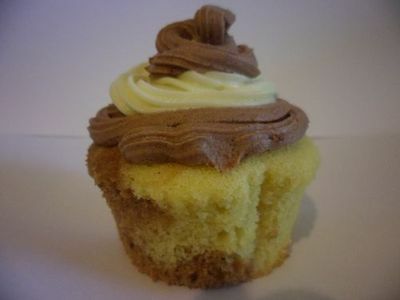 When you can't decide whether to make a batch of vanilla or chocolate cupcakes, split the cupcake batter in half, add some cocoa and have the best of both worlds. Preheat the oven to 180 degrees C and line a 24 case cupcake baking tray with patty pans. Place the butter and caster sugar in a bowl and beat with an electric mixer until creamy. Add the eggs (one at a time) and vanilla essence and mix well. Alternate between adding flour and milk, stirring between each addition with a wooden spoon, until all of the flour and milk is combined well. Take out a second mixing bowl. 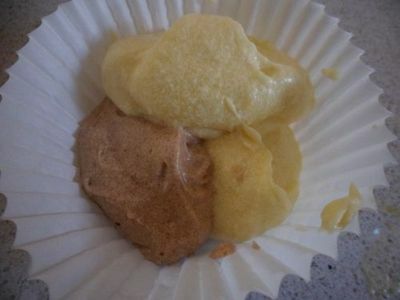 Divide the vanilla cupcake batter in half and place one half into the new mixing bowl. Set one half aside. To the second half, add cocoa powder and stir it through with a wooden spoon to combine. Now that we have both flavours of cupcake batter, it's time to start marble-ing. 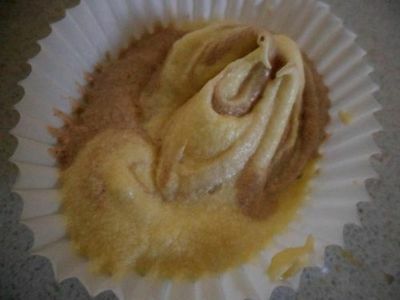 Into the bottom of each cupcake patty pan, place a teaspoon of vanilla batter. Add a teaspoon of chocolate batter on top of that. Point the tip of a sharp knife or skewer into each cupcake and swirl the skewer/knife in circles (1-3) to make a partially swirled pattern of the vanilla and chocolate mixtures without mixing them together completely. Add a further teaspoon of chocolate batter and another teaspoon of vanilla batter to form the top half of each cupcake, and use a skewer or knife again to make a gentle swirling pattern in the blocks of colour. Bake for 15-20 minutes, or until cooked when tested with a skewer. Allow to cool on a wire rack. 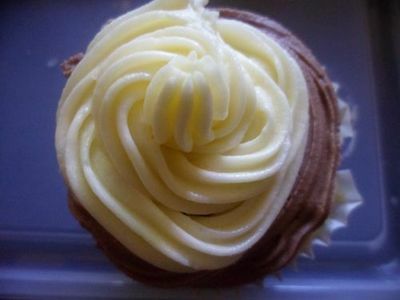 To make frosting, beat the butter with an electric mixer until pale and creamy. Gradually add the icing sugar, then the milk, and beat until combined. To ice half with vanilla tops, and half with chocolate tops, split the frosting mixture in half and beat cocoa powder through one half. 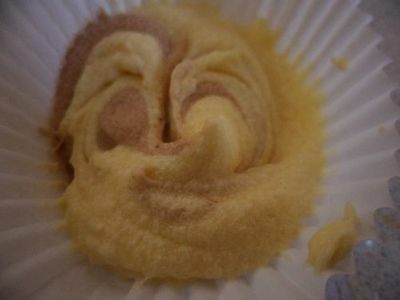 Pipe or spread frosting onto cooled cupcakes and allow it to set. 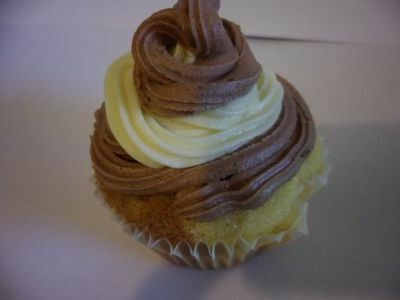 Either give each cupcake a solid coloured top, or pipe alternating layers of chocolate and vanilla frosting on top.